Based on an inside joke and featuring two friends from DeviantArt and myself. 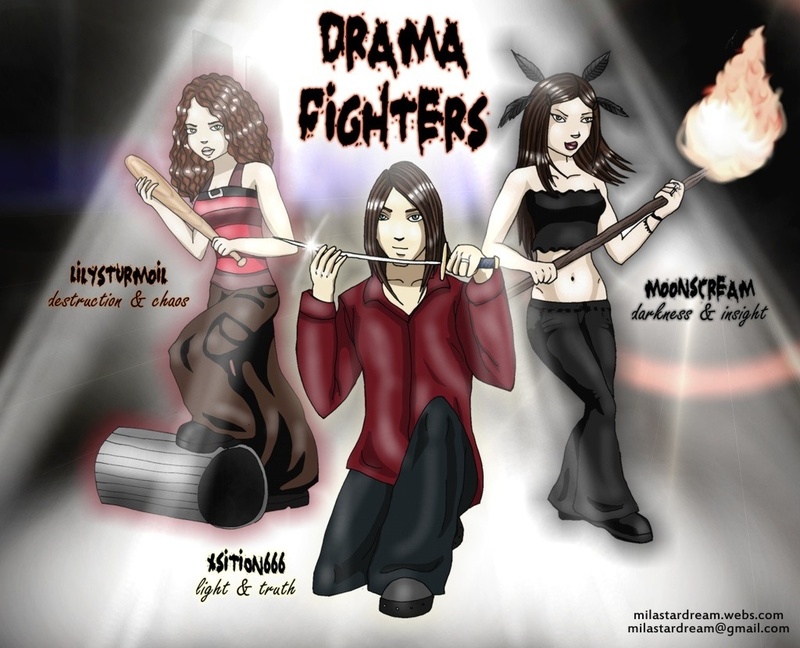 The three are super heroes fighting drama. You might want to check out my talented friend's art https://www.facebook.com/CajunCajoleArt/.